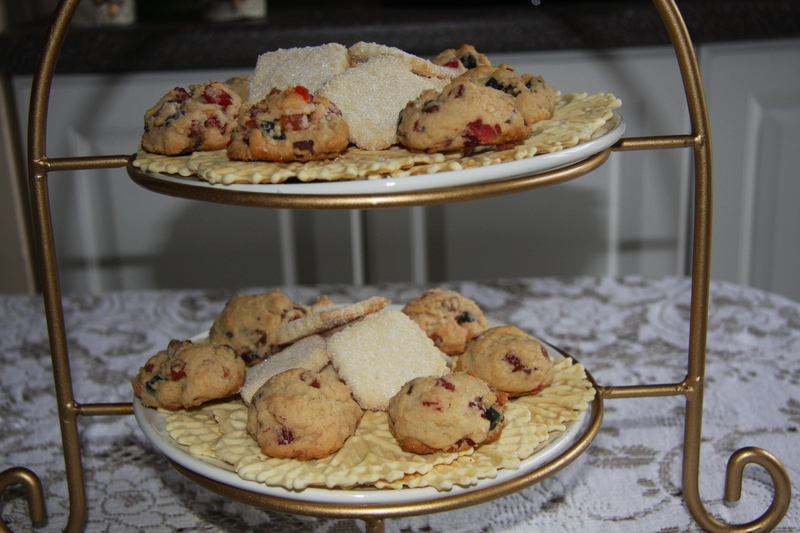 In the middle of my cookie tray are my shortbread. This is another recipe I have not made in years and years but I thought my grandchildren would like them. Guess what I was right. 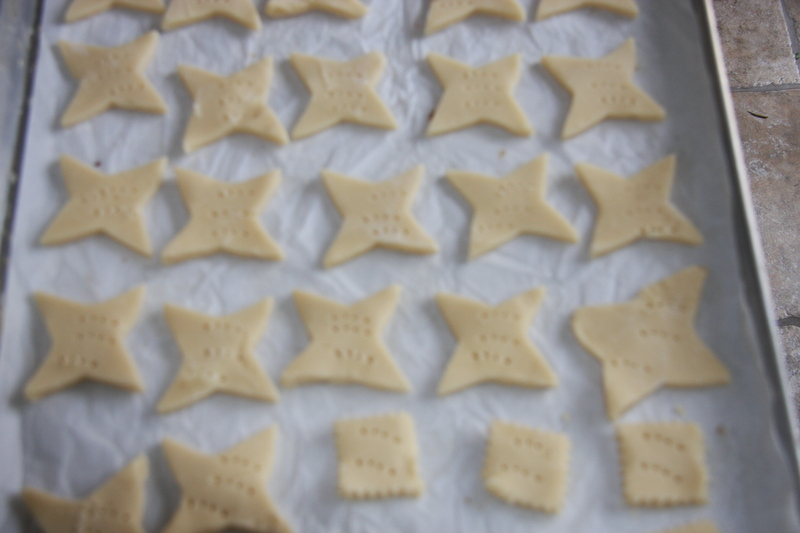 It is a simple recipe to make and takes very little time. You could if you wanted decorate them. I just didn’t have the time so on went a little sugar. 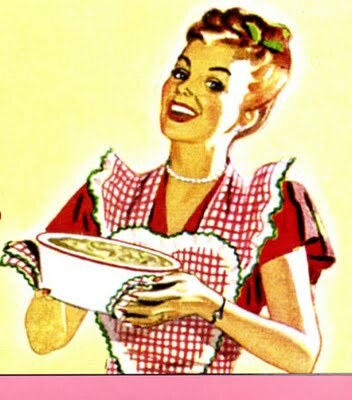 Into a large bowl cream together 1 pound of butter and 1 cup of fruit sugar until light and fluffy. 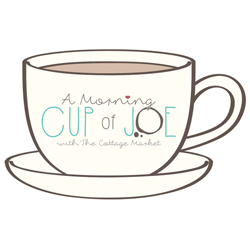 Add 3 1/2 cups of flour and knead it until all ingredients are well blended while adding another 1/2 cup of flour. The bowl will start to come clean. 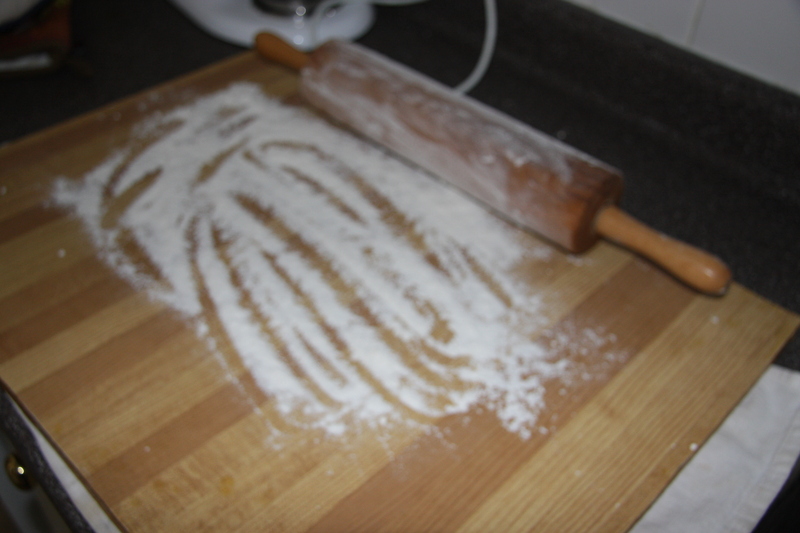 Flour a work surface and your rolling pin. 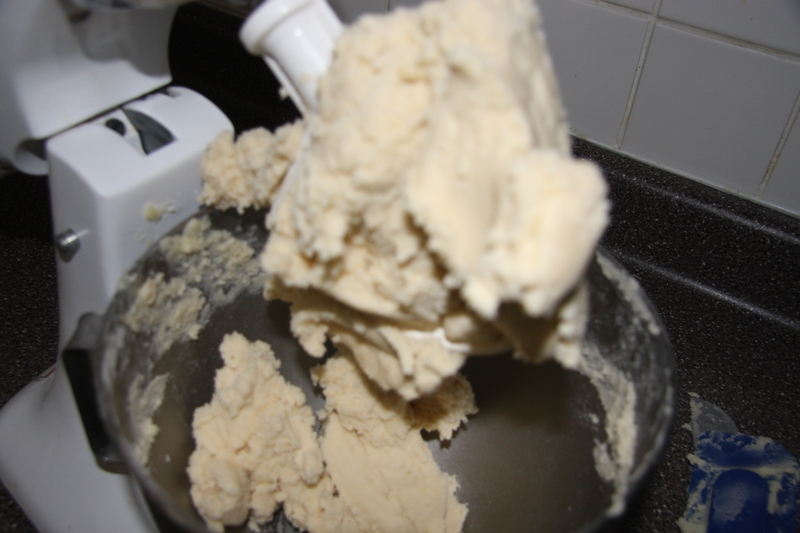 Take chunk of dough and roll it out to 1/4″ thickness. 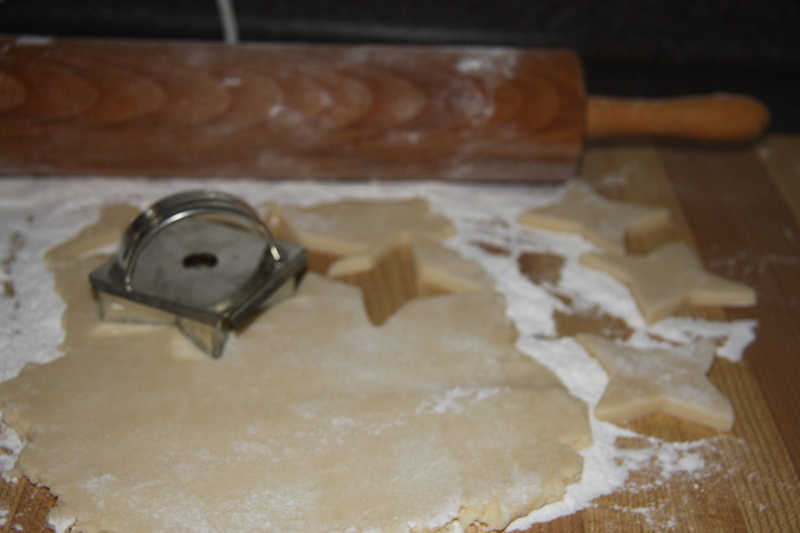 Take your cookie cutters and cut into the shapes. Place onto a parchment lined pan and poke with a fork. Bake at 350 degrees in a preheated oven until golden. 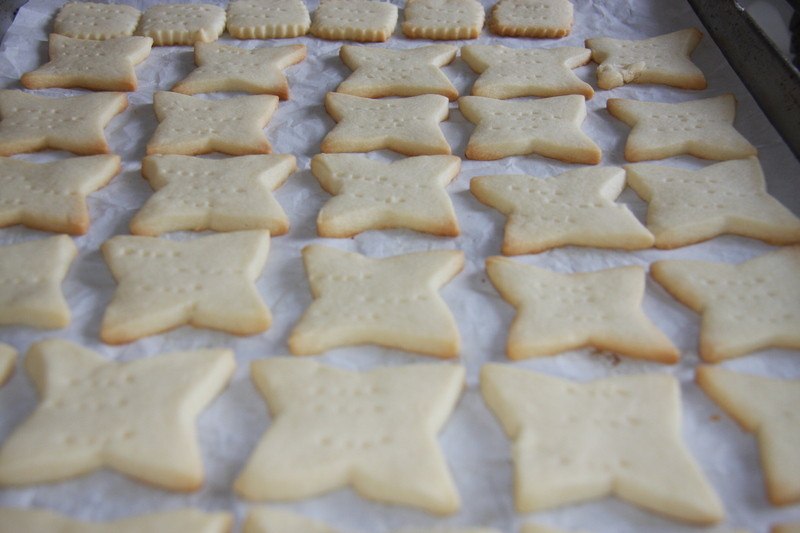 The shortbread are nicely golden on the bottom and white on top. 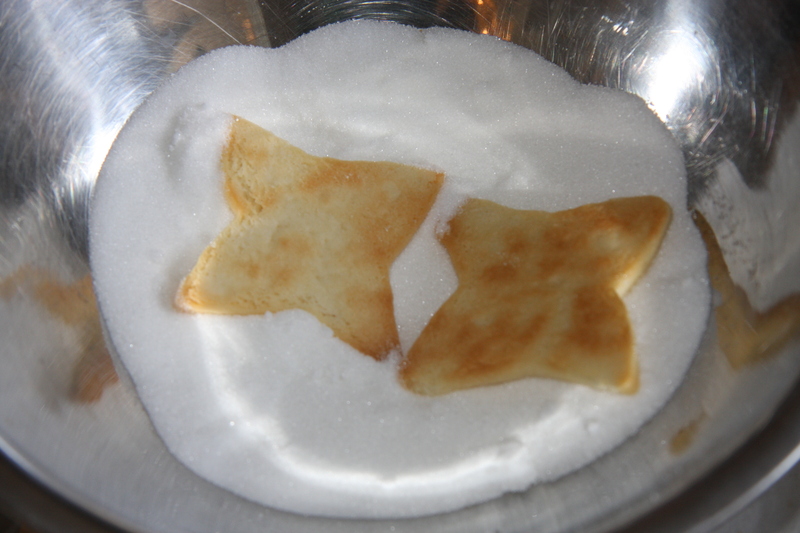 Cool slightly and dip the tops in sugar. 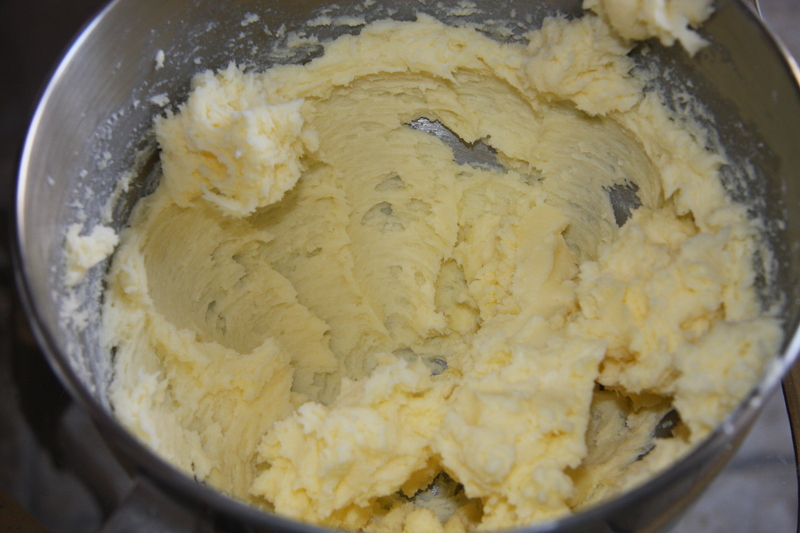 Cream together butter and fruit sugar until light and fluffy. Add in your flour mix until well incorporated and then add another 1/2 cup of flour. 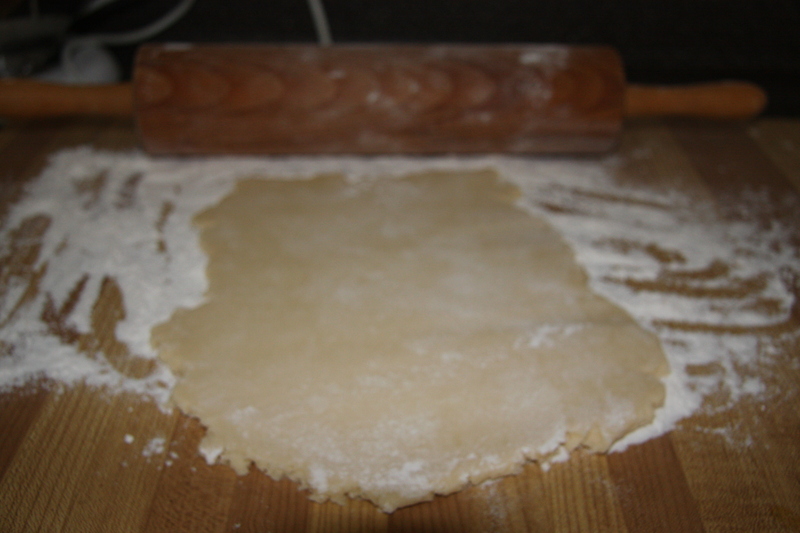 Roll the dough out to 1/4″ thickness, cut with a cookie cutter and place on a parchment lined pan. Prick the cookies with a fork 3 times and bake in a 350 degree oven until golden on the bottom. Slightly cool and dip the top side into sugar. These are excellent for freezing. I wish I had time to make them.